New Delhi Amritsar Shatabdi: Railways has decided to run its Shatabdi Express connecting Delhi with Amritsar with LHB coaches for about two months. New Delhi-Amritsar Shatabdi Express runs on every Thursday. 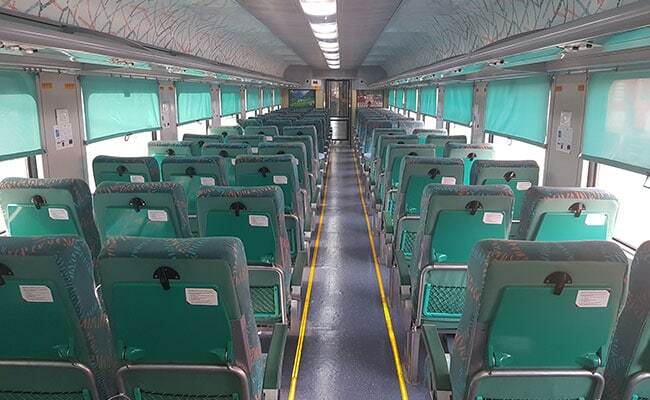 The Railways has adopted LHB coaches on the New Delhi-Amritsar Shatabdi Express train due to scarcity of conventional Shatabdi coaches over the Northern Railway, it noted. LHB coaches support higher speeds compared to Integral Coach Factory (ICF) coaches, according to the Railways website. The New Delhi-Amritsar Shatabdi Express halts at Ambala Cantt., Rajpura Junction, Ludhiana Junction, Phagwara Junction, Jalandhar City and Beas before reaching the Amritsar Junction station, according to the Northern Railway, an arm of Indian Railways. The New Delhi-Amritsar Shatabdi will run with LHB coaches from April 11 to June 5, according to Indian Railways. The fare for one-way travel on the entire route of New Delhi-Amritsar Shatabdi Express is Rs 1,110 per adult. The fare also includes catering charge of Rs 165, according to the IRCTC website.